A generator always comes in handy in times of power outages. It can also be useful for people who like spending time in remote locations, for whatever reason, including getting away from the hustles of city life. While a generator is a convenient power backup, there are a few things you should know before owning one. Here are 5 things you should know about owning a generator. Like every other product out there, generators vary in quality. Quality in most cases is dependent on the brand, and the price. However, there are other factors that come into play including the cost of maintenance. To ensure that you get the best generator for your needs, make use of generator review to get an idea of the differentiating features between generator brands. Check this website for some great reviews on generators. While generators are useful as a power source, they can be extremely dangerous. Most generator accidents involve carbon monoxide poisoning, fires, and electrocution. That’s why you need to ensure that you follow the manufacturer’s safety precautions to the letter. You can also get someone who is experienced with generators to take you through the do’s and don’ts, of owning and operating a generator. The key thing is to be aware of how to operate it without putting yourself at risk. There are two types of generator fuels namely gas and propane. The key difference is in the ease of use and efficiency. If you choose to use gasoline to power your generator, then you will need a stabilizer to help keep it in good condition. On the other hand, if you choose to use propane, you get to avoid all these issues. That’s because propane is safe, and pretty much never goes bad. While propane looks more convenient, this decision should be based on ease of access. If gas is more accessible in the area where you are using a generator, then its best to go with gas. Just be careful with its storage, to avoid gas-related accidents. 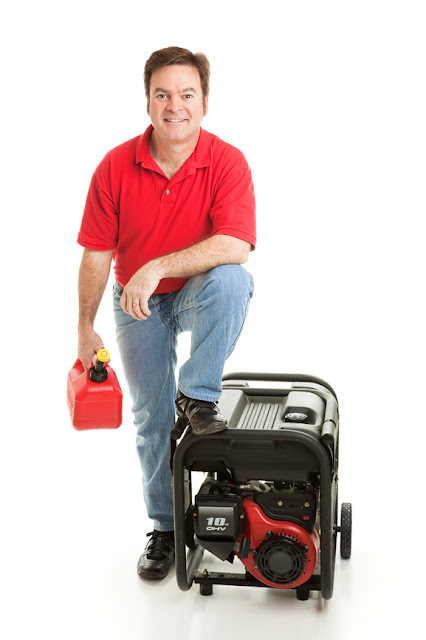 Before you spend on a generator, be sure to research on local dealers who can service it for you. That’s because, like all other electrical equipment, it will need servicing from time to time. The last thing you want is to buy a generator simply because it’s cheap, only to end up spending more, trying to find someone who can service it for you. Generators consume fuel differently. Larger ones consume more, but they also give more power. That’s why you need to be clear on what you need it for. If you are buying it for power-intensive uses, then it would make sense to go for a higher fuel capacity one. It may consume more power but it will also give you a more reliable service.